"An excellent news for ProZorro and yet another international recognition," deputy minister Maksym Nefyodov said. The World Bank issued a positive report for the evaluation of the compliance of ProZorro e-procurement system with the requirements of the Multilateral Development Bank. The decision gives green light to purchase of goods and services via ProZorro for the bank projects in Ukraine. "An excellent news for ProZorro and yet another international recognition of its performance. We hope we will see the first tenders of the World Bank on ProZorro platform as early as in a few months, and the Ukrainian business will be able to take part in them publicly," Deputy Minister of Economic Development and Trade Maksym Nefyodov said on Thursday, 10 August. The ministry hopes that the first tenders of the World Bank will be already in ProZorro in a few months and the Ukrainian business will be able to take part in them publicly. Earlier, Prime Minister Volodymyr Groysman said ProZorro allowed Ukraine saving 19.1 bn hryvnya, or US$742.6 mn, of budget funds since August 1, 2016, by reducing procurement prices as a result of competition. 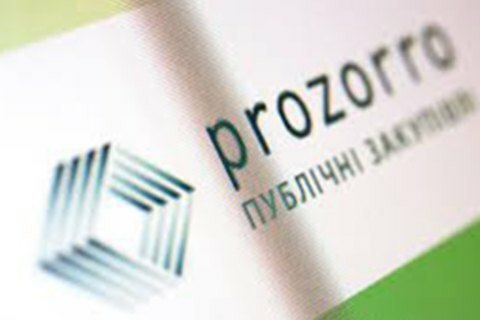 The Ministry of Economic Development and Trade plans to save UAH 50 bn, or $1.9 bn, in 2017 due to ProZorro.